Live Market Pricing ensures our customers get the most competitive prices on all of our pre-owned vehicles, all of the time. We poll thousands of listing sites to determine the lowest 10% of prices in the marketplace for cars like ours – similar equipment, mileage, and condition – allowing us to source and price our inventory aggressively to get you the best deal on the car you’ve been looking for. More than 90% of our customers shop online before ever stepping a foot inside a showroom. We understand our customers are savvy, intelligent consumers, and we do not artificially inflate the price of our cars to get in a negotiation battle. We approach each and every sale with the intention of giving our customers a fair deal. It’s all a part of giving our customers the best purchase experience they’ve ever had, allowing us the opportunity for referral and repeat business! We look forward to saving you time and money through Live Market Pricing! 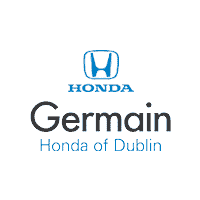 Use Live Market Pricing at Germain Honda of Dublin to find the right car, at the right price, the right way!